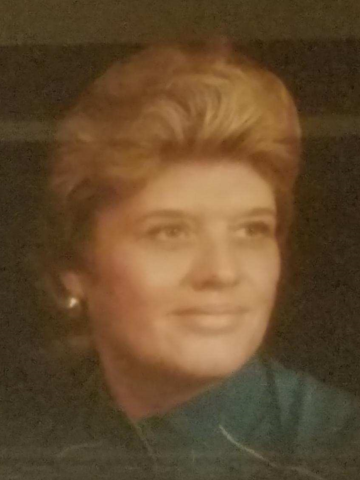 At age 77, Linda “Nanny Faye” Calvin of Nashville, TN went home to be with the Lord on February 1, 2019. Linda was born in Nashville, TN on April 28, 1941 to the late Oval Sr & Alma Williams. She was preceded in death by her loving husband of 41 years James “Ross” Calvin, her siblings: Frank Williams, Gordon Williams, Oval Williams Jr, & Doris(Johnny)Bates, Brother in law: Roy Garmon, Daughter: Cathy(John) Kelly, Son in law: Steve Stahr and grandson: Donnie Stahr. She is survived by her; children, Sandi Stahr, Tammy Vanatta (Eddie); Siblings: Shirley Garmon, Houston (Brenda) Williams, grandchildren, Tamica (Larry), Stephanie, Ashley, Amber, Hope, Jayden, Daisy and Darryl. She had several nieces and nephews and her 3 special “babies” Skippy, Precious, and Allie. The family will receive friends on Sunday from 2:00 p.m. until 4:00 p.m., Monday (2/4/19) from 4:00 p.m. – 8:00 p.m. at West Harpeth Funeral Home. A Celebration of Linda’s Life will be held 11:00a.m. until 12:00 p.m. on Tuesday, February 5, 2019 at West Harpeth Funeral Home with Eddie Vanatta officiating. Burial to follow at Harpeth Hills Memory Gardens. Our deepest condolences to the family from Tammi’s work family. Dear family and loved ones, I was sorry to read about the passing of Mrs. Calvin. Please accept my sincere condolences for your loss. It has helped me and many others to know that the Bible promises that soon God “will swallow up death forever” (Isaiah 25:8) and that He will bring about a resurrection of our dear loved ones (John 5 : 28, 29) . May “the Father of tender mercies and the God of all comfort,” comfort you during your time of sadness (2 Corinthians 1: 3).